Upper Valley CPR is an American Heart Association Certified source for CPR and First Aid classes and certification. 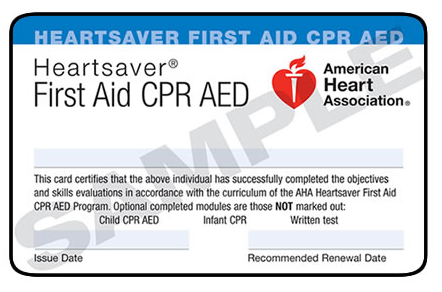 We offer Heartsaver CPR/AED and First Aid and Basic Life Support (BLS) certification. We are affiliated with Dartmouth Hitchcock Hospital as our AHA training center. We come to your location and offer CPR classes from Burlington to Manchester, including locally Lebanon, Hanover, Norwich, White River Junction and throughout the Upper Valley of Vermont and New Hampshire.